According to MarketWatch, Grand Theft Auto 5 has become the most profitable game of all time with 90 million copies sold worldwide, generating $6 billion in revenue. Grand Theft Auto 5 has been hugely popular since it launched on PlayStation 3 and Xbox 360, particularly once the online component, Grand Theft Auto Online, launched a short time after. Through the PlayStation 4, Xbox One, and PC versions the game has continued to captivate audiences to become the ‘most financially successful media title of all time. The $6 billion generated takes into account the film adaptation, music, and books as well which have probably culminated to make this such an impressive number. Star Wars and Gone With The Wind made $4 billion by comparison, taking into account DVD sales since the box office debuts. James Cameron’s Avatar, the highest-grossing film of all time, still only generated $2.8 billion. 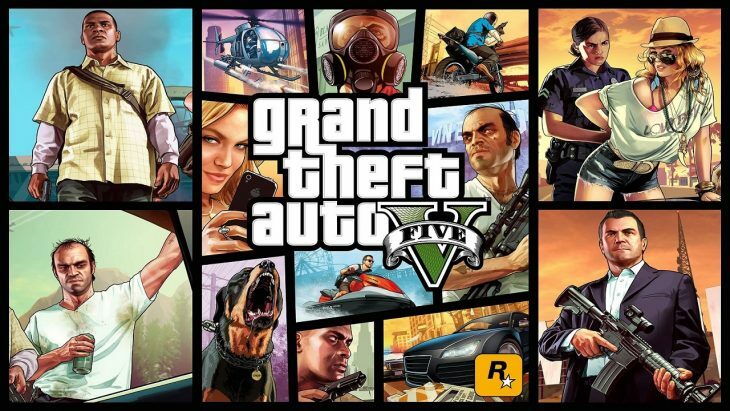 It hasn’t been clarified if the $6 billion Grand Theft Auto 5 has generated is purely down to sales or takes into account the recurrent spending from consumers purchasing in-game currency for Grand Theft Auto Online. The closest games to Grand Theft Auto 5 in terms of 90 million copies sold are Call of Duty: Modern Warfare 3 at 26.5 million, and Call of Duty: Black Ops at 24.2 million, both with less than a third of the title’s sales. The only match for Grand Theft Auto 5’s sales are the combined sales of Grand Theft Auto 3, Vice City, San Andreas, and 4. The biggest difference between Grand Theft Auto 5 and all other games on the market is the level of support it has seen since launch. Rockstar Games have not only made the move from one console generation to another, but they’ve continued to add new content to the game’s online component for the last 5 years. Not only that, but the PC version also has a budding mod community, as well as a video creator built into the game for anyone wanting to share their experiences. This year Rockstar Games will release Red Dead Redemption 2, a similar open world title with a different setting. Most importantly this will also have an online component, and could go on to outdo Grand Theft Auto 5 if it’s supported in the same way.